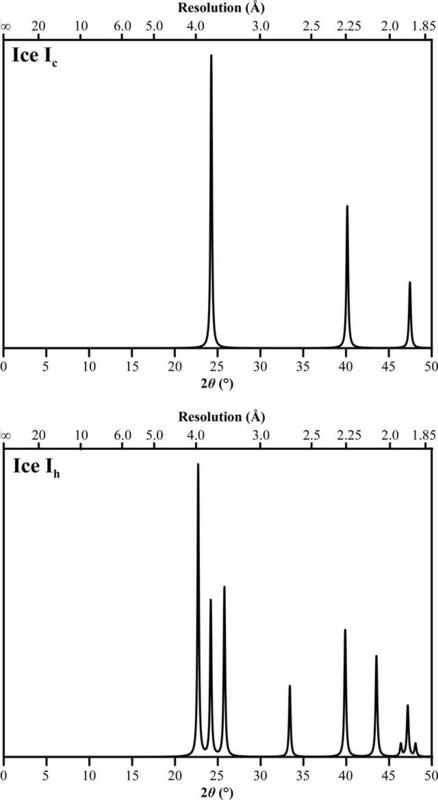 Theoretical powder diffraction peak profiles for hexagonal ice (Ih) and cubic ice (Ic) at the Cu Kα wavelength calculated with XPREP (v.2015/1; Bruker-AXS). For the observed powder diffraction patterns, see Fuentes-Landete et al. (2015 ).